Home > 2014 > 08/16 > Why Buy Hockey Abstract? Folks, here at FlamesNation, you know we don’t often use this space to shill or endorse things. Thus, when we do, you know it’s probably for a good cause. This is one of those times. 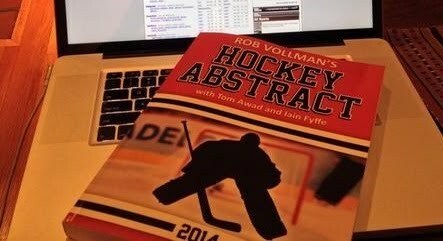 Our good friend Robert Vollman, who you all probably know and love for his excellent analytics takes, has written a book (along with some other great contributors). It’s about hockey analytics, something near and dear to all of our hearts. You should buy a copy. And don’t just take our word for it. Here’s ga heart-felt discussion of the merits of Hockey Abstract 2014 by Mr. Vollman. Oh, and Mr. Vollman was also on NHL Numbers’ Log Off Podcast earlier this week discussing this tome for your listening pleasure. hockey analytics and their mainstream applications and limitations. independent self-publication that isn’t backed by a big media outlet. comes far more naturally to me than this kind of self-promotion. free, why buy a book? information into a single place. consensus approach of the day. take a closer look at the Oilers this season. and breaks some brand new ground, like drawing penalties. advantages), as was last year’s edition. can be applied, and to become more familiar with their limitations. the shelves in the future. Amazon, or how to purchase a PDF version. Alright, I’ll buy on condition he starts writing for FN again. Yeah, I liked the blackbox too. Tom Awad and Iain Fyffe are goodies as well. I remember reading Fyffe’s series on Hockey Prospectus a few years ago about the fictional, hypothetical team the Saskatoon Westerns. That was fun. How much? His marketing agent makes you hit the purchase button to find out the cost. Dude. Serial? Who buys paperback books anymore. Save a tree. Go digital. 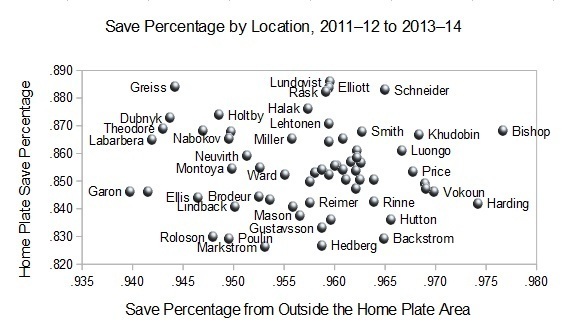 Thanks guys – probably the only two that read that weekly “Black Box” stat series back in the 2011-12 season. You were ahead of your time! Perhaps analytics has grown to the point where it would be more of a hit this time around? Alt: the prices vary based on Amazon’s discounts (and mood?) but it’s roughly $15 for the PDF and $25 for the physical copy. Jeremy: there’s a PDF option. Sales are generally 50/50 actually. I also enjoyed the blackbox stuff.